On April 22, 2015 the Indian Met Department (IMD) released its first forecast for the upcoming monsoon rains, saying it is likely to be below normal, at 93 per cent of the long period average (LPA). 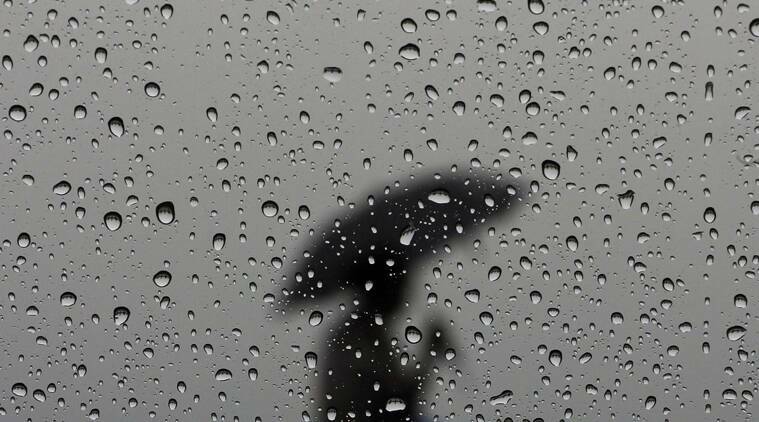 Only a week before that, on April 15, a private forecaster, Skymet, had predicted normal rains (102 per cent of LPA). As per the IMD, there is close to a 70 per cent probability that the monsoon rains will be below normal or deficient, whereas Skymet pegs the probability of monsoon rains being normal to excess at 80 per cent. Since Skymet began its monsoon forecasts, the difference between the two agencies’ forecasts has never been as wide. This has not only confused various stakeholders in the agri-chain, from farmers and traders to agri-business companies, but also raised the anxiety levels of policymakers. Ideally, the chiefs of the two agencies should explain to the country the reasons behind such stark differences in their predictions. So far, we have not seen that. One can only speculate as to whether the prime reason behind this difference is the evolving nature of El Niño. El Niño refers to the phenomenon of ocean water heating in the central and eastern Pacific, which is believed to disrupt the Indian monsoons. Weather scientists the world over are tracking the current El Niño developments in the Pacific. Even though the Pacific waters started heating up in 2014, it was only in March 2015 that the National Oceanic and Atmospheric Administration (NOAA), the US federal agency monitoring El Niño developments in the Pacific Ocean, finally declared the onset of a weak El Niño. Australia and Japan also track very closely developments in El Niño and its impact on rains. Weather experts in all three countries (the US, Australia and Japan) foresee drier-than-normal conditions for the upcoming months for many areas in the west Pacific, mainly Australia and India, among others. From what we can tell, the IMD seems to be on a similar wavelength as international agencies tracking El Niño and monsoon rains. But Skymet has its own take. According to Skymet, El Niño had already struck and disrupted Indian rains in 2014. Thus, it cannot affect the rains again in the current year. This is in contrast to the NOAA, which never declared 2014 an El Niño year. Our own historical analysis of droughts in India since 1900 reveals that the country has only experienced consecutive droughts three times: 1904 and 1905; 1965 and 1966; and 1986 and 1987. In 2014, rains were 12 per cent below LPA, and technically it should have been declared a drought, although the government did not declare it for reasons best known to them. So the chance of a repeat drought in 2015 seems slim (less than 5 per cent). But is El Niño so important for the Indian monsoon rains? Our own study revealed a rather interesting association between the two. We found that beginning 1980, the world has faced 12 El Niño years, while India has suffered seven droughts. Six of these droughts were in El Niño years, with 2014 being the only drought year in a non-El Niño year. Six El Niño years did not convert into droughts and contrary to expectation, in the El Niño years of 1994 and 1983, India received excess rains. Besides El Niño, what happens in the Indian Ocean also impacts our monsoons. This is known as the Indian Ocean Dipole (IOD) or Indian Niño. A “positive IOD” is found to be beneficial for Indian monsoons and a negative IOD hampers them. The final impact on Indian monsoons is the result of an interesting interplay of many forces, including the IOD and El Niño. 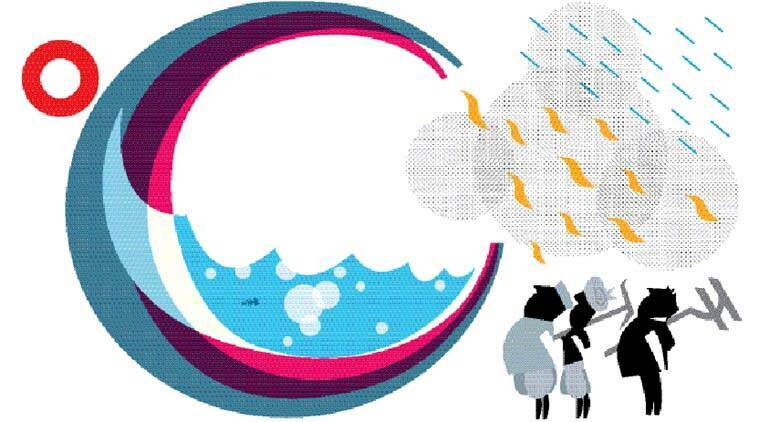 An IOD can worsen or counter an El Niño impact on Indian monsoon rains. India received normal or excess rains in the El Niño years of 1983, 1994 and 1997 owing largely to positive IODs. But the El Niño year of 1992 combined with a negative IOD and disrupted monsoons that year. So what are we to believe now? Weather forecasting is still an evolving science — and a perfect and accurate forecast is yet to be found. Even though we hope Skymet turns out to be right in its forecast so that the country does not have to suffer another drought, it is only pragmatic at this juncture to prepare ourselves for any eventuality. Given that almost half the Indian workforce is still in agriculture and a little more than half of the cultivated area is rain-fed, the news of below-normal monsoon rains is a matter of great concern. The fact that the water tables are also worse than last year’s in many states, such as Rajasthan, Jharkhand, Odisha, West Bengal, Gujarat, Maharashtra, Uttar Pradesh, Uttarakhand, Madhya Pradesh, Chhattisgarh, Andhra Pradesh and Telangana, aggravates these concerns. With two consecutive years of below-normal rains, the Indian peasantry will be in bad shape and agrarian distress has the potential to spill over to the political and socio-economic sphere. What is the way forward? We need a contingency plan with ample supply of seeds and real-time technology, an integrated advisory for less water-intensive crops, extended agri-credit at low rates, and an affordable and robust insurance policy, which can settle farmers’ claims quickly and transfer money directly to their accounts, dovetailing the Jan-Dhan Yojana, Aadhaar and mobile numbers (JAM). A robust insurance system would require the use of high-tech satellites, with higher resolution, and/or stepped up all-weather stations (almost five per block) and rainfall loggers (five per weather station), using drones in affected areas if need be, to get better images forfaster action. All of this is feasible and financially affordable (and would require an investment of less than Rs 500 crore), provided India has the political will to fix it and our bureaucracy is proactive in implementing it. The wise know how to convert a crisis into an opportunity for change, while others keep cursing their stars. The time to act is now. Saini is consultant and Gulati is Infosys chair professor at Icrier.